Wealth Management Software provider FA Solutions is expanding its presence to the UK market with a new office in London, aiming to serve as the company’s existing and potential client base. “Having a presence in the UK has many advantages, which we expect to bear fruit on multiple levels in the near future,” says Juha Lehtonen, CEO of FA Solutions. 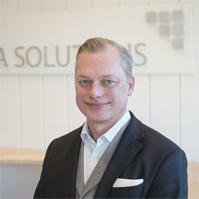 The new office will be headed by one of the partners at FA Solutions, Richard Nordin. He will now put full focus on the UK and continental Europe in order to further accelerate FA Solutions rapid growth. “As FA Solutions has quickly become a market leader for Portfolio management solutions to mid-market in the Nordics, we see great opportunities for our modern software also in the UK. This is in line with our ambition to become a leading provider in Europe” says Richard Nordin. “We also see significant opportunities for partnerships in the UK, both with complementing service providers, but also with larger institutions that desire to modernise their offering quickly with a top of the line solution. This will include Prime Brokers that want to offer their clients a tool, custody banks and specialist IT companies. We have done some successful similar projects with Nordic institutions and banks. Modern and easy-to-use API’s to send data in and out of the Portfolio Management solution is critical for this. For instance for Robo-advisors where our solution often integrated with an eco-system of solutions to provide a complete digital toolbox”, he continues. FA Solutions will over the next few months offer both webinars and seminars in London and Guernsey. Stay tuned on our web page to sign up and learn more about what a truly modern solution can provide for your wealth management team! The office is located in the Pavilion, 96 High Street Kensington.